First Dive of the Year. Today was the first dive of the year on site with visibility workable at about a metre. The new GPS/ side scan which comes to us as part of the funding from Historic England for a limited excavation on the remains of Hazardous, worked well putting the first diver right on our mooring position, so little time was wasted mooring up. Dan and Andy were able to verify yet more sediment had been removed over winter, possibly up to 300 mm in some places, resulting in a number of artefacts being uncovered that were not visible on the last dive of 2016. 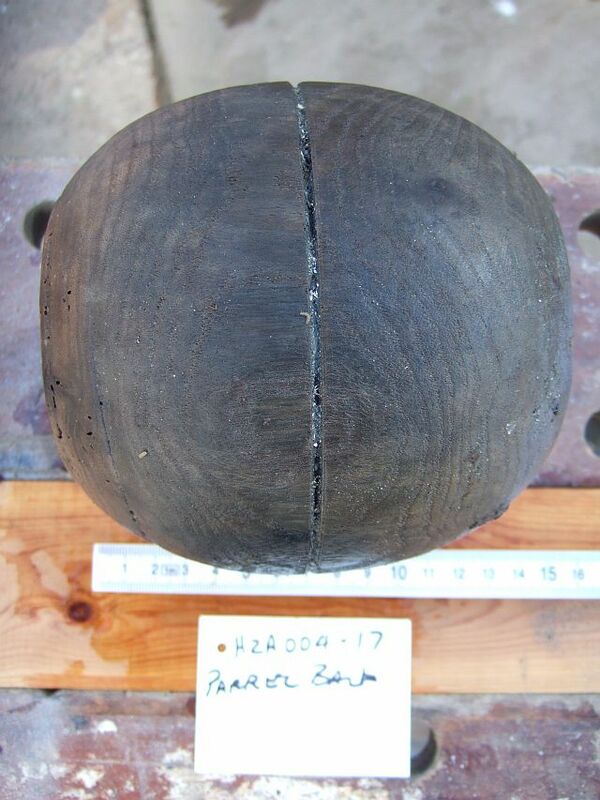 After measuring in and taking video and stills, three of the most vulnerable wooden artefacts and one very small copper alloy object were recovered. They are now ashore stored in water. 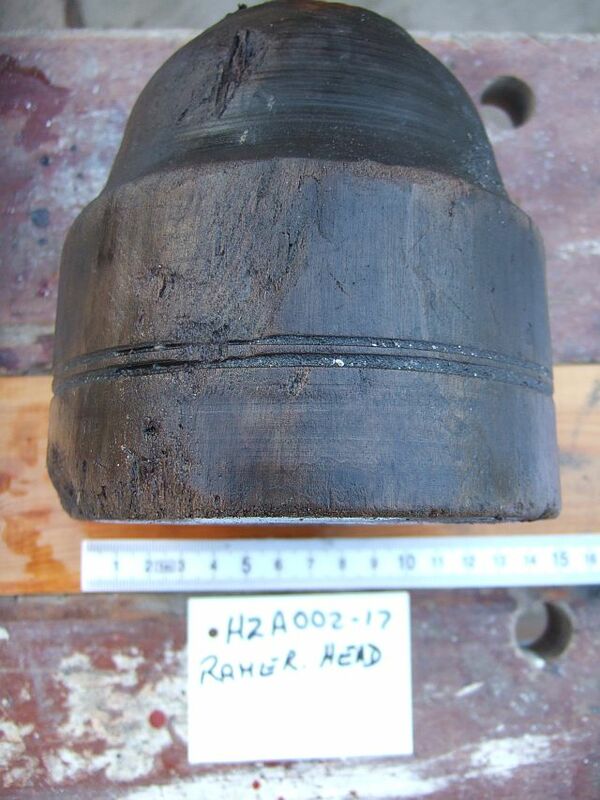 These finds represent three firsts for us; a rammer head, possibly for an eighteen pounder gun, a Sponge ‘cylinder’ probably for the same size gun and a parrel ball, an element of the rigging. 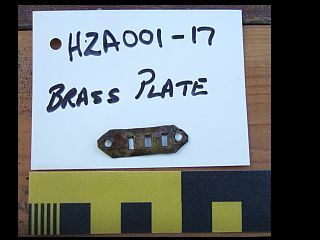 All items were found in an area we believe to represent part of the main store below deck and the main focus for the excavation. We then moved to the area of the new guns found during the 2014 survey. This area has also seen more sediment removal. 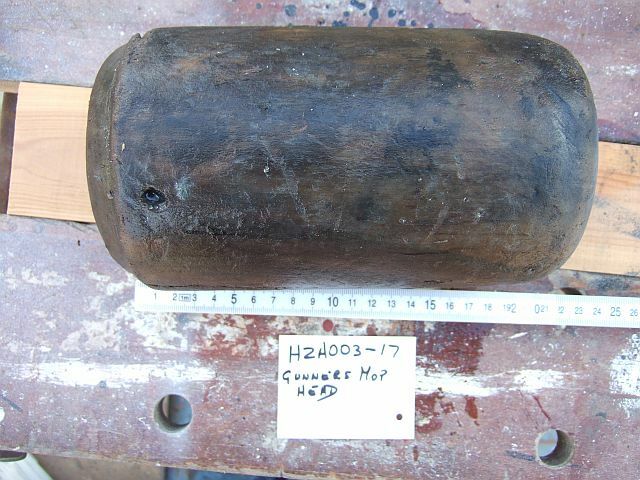 A lead scupper was marked and recovered and at least twenty bar shot observed, suggesting more diver searches will be needed here in the future.